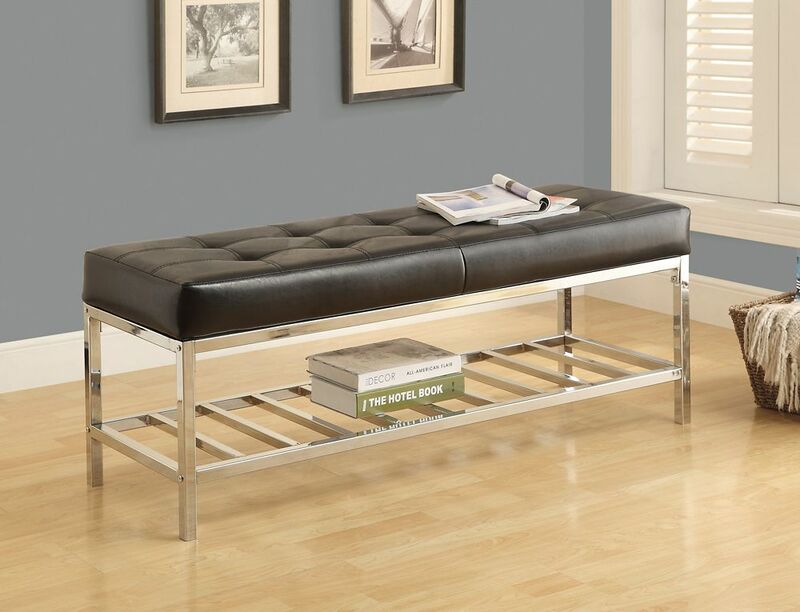 This finely designed Monarch Specialties bench is exactly what you need to complete your space. A metal finish in black is sure to add contemporary flavour to any room. The chrome frame is durable and elegant for your home. This skillfully designed Corliving bench is just the piece you need to make your space complete. The combination of a solid wood base in a black finish is perfect for adding a contemporary feel to any room. The black frame is durable and elegant for your home. Enjoy this PU bench with 3 cushion tops and tray on reverse side. Perfect for storing extra blankets, games, etc Great for entertaining, extra seating. Metal Frame Bench in Black This finely designed Monarch Specialties bench is exactly what you need to complete your space. A metal finish in black is sure to add contemporary flavour to any room. The chrome frame is durable and elegant for your home.